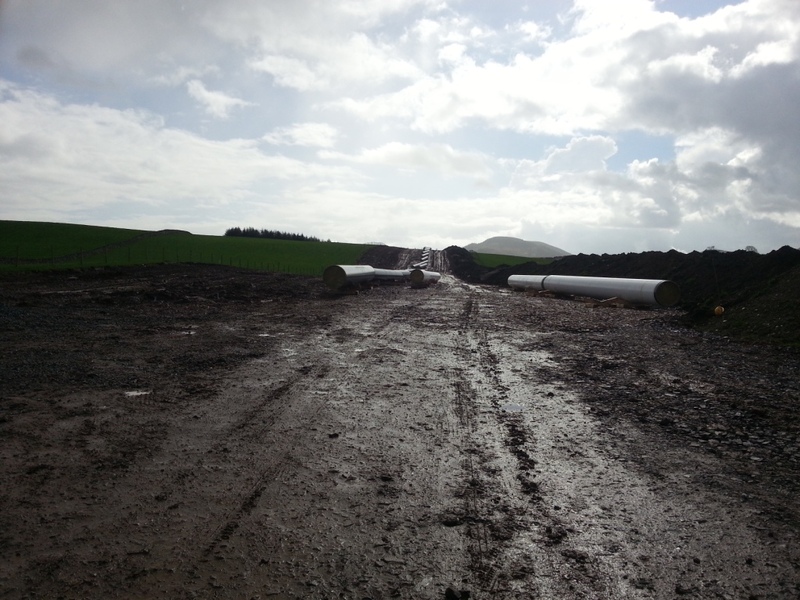 It turns out that the gas pipe being put in on my route to Bigtown is no ordinary gas main – they are effectively dualling the main gas pipeline to Ireland (which might be interesting come Brexit) at a cost of around €92m. On the ground, that translates into an impressive swathe through the landscape. If you’re interested in how gas pipelines are laid – stop laughing at the back there, I don’t see that it’s unreasonable – then you can read all about the project here. But rest assured, I will keep you posted on progress anyway, whether you’re interested or not. This entry was posted on Saturday, April 1st, 2017 at 10:35 pm and is filed under Rural Diversions. You can follow any responses to this entry through the RSS 2.0 feed. You can leave a response, or trackback from your own site. Thanks for including the engineering report – Interesting – and great pictures! Your curiosity about everything is an exemplar for me! The mess clears up quite quickly, in a year or so you will not know where it is. Mind you an excellent opportunity for guerrilla gardening if you get bored. Plenty of scope, you could pedal on the pipeline, plant, have coffee and cake in the moonlight and rain (it is Scotland) and go virtuously home. Sounds brilliant to me, safely in Somerset. I have quite enough gardening of my own to do!